I had a last minute emergency and had to rent a storage unit. 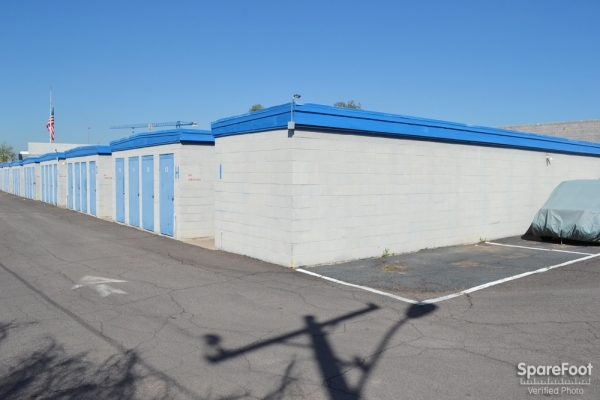 Within minutes, I found a storage unit in a good location and for a good price and had it reserved. Sparefoot was really helpful in setting that up. The issues I have with the unit are that it is not accessible 24/7 and that they arenât sealed from dirt coming in. Otherwise, it was quick and easy. Super friendly, clean units and very accessible. The manager, Wayne, is thorough and a pleasure to work with. Clean unit at a fair and reasonable price. We apologize for the inconvenience. We sincerely want your business and feel our behavior has been less then appropriate. Please feel free to visit us anytime for an exclusive offer and service. Although there have been occasions where we, as employees are allowed to leave the office for both lunch and business reasons, we are completely committed to providing our customers with excellent customer service. On some occasions, personal emergencies have forced us to close earlier than our hours indicate. 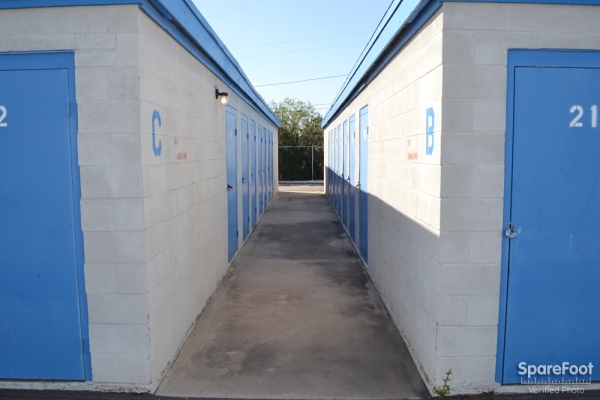 As with any self storage unit, we are sometimes forced to make decisions that affect our customers. We apologize for this and are deeply deicated to providing our customers with the best service we can provide. I had a storage reserved and for the last week or two have been trying to rent that space but it seems like every time I go there no one is in the office , to help me rent a unit. I have called left messages that go unanswered, I have been by there several times, and every time the note on the door changes from back in 1 hour to office closed due to emergency. 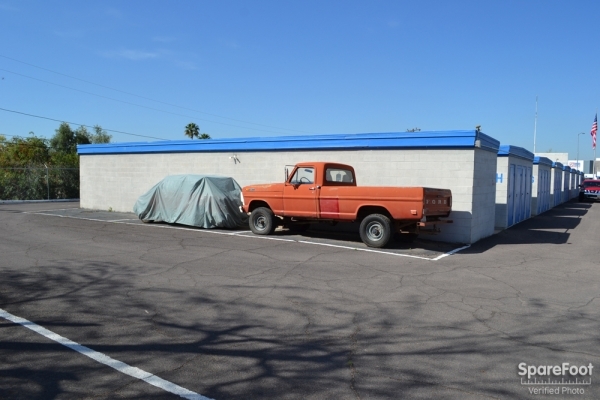 So I had to go somewhere else and not happy because now I am paying $25 more for a 10x10 that I would be being at this location had I been able to rent from Scottsdale Storage. I made my reservation May 15th and I wanted to move in that day in fact I needed to move in that day so I tried calling the office for over 2 hours and no one ever answered, I live in Avondale and did not want to drive all the way to Scottsdale unless I knew someone was going to be there but I needed to move because I started my new job in Scottsdale on the 17th. So I loaded up the UHaul and I drove there and there wasn't anyone in the office just a note on the door that said they would return but gave no time frame. I waited for about an hour others came and left who said it happens all the time that no one is ever in the office, so after the 5th person told me this I said NO Way, and I drove down the street and rented at a different location. It's terrible Customer Service for any business never to have someone in the office to help out customers unless they simply have enough money that they don't need a person in the office. So I would make sure that someone is going to be in the office before you reserve a unit from this location. Good luck folks. Facility just as advertised, courteous and efficient service - this one worked as it was supposed to! Thank you Michael :) We want your experience to be a happy one with us! The office manager was very helpful, and explained everything very well. Thank you Alexandria - Hope you have a wonderful trip! I am very sorry you did not have a good experience here. I promise you that it was just bad timing - I had grabbed the sign from earlier when I happened to run to the bank around 4:30 and it so happened that the bank had about 10 people in front of me - I returned at about 5:15 pm. I pride myself with customer service and hope that this mishap won't deter you from renting. 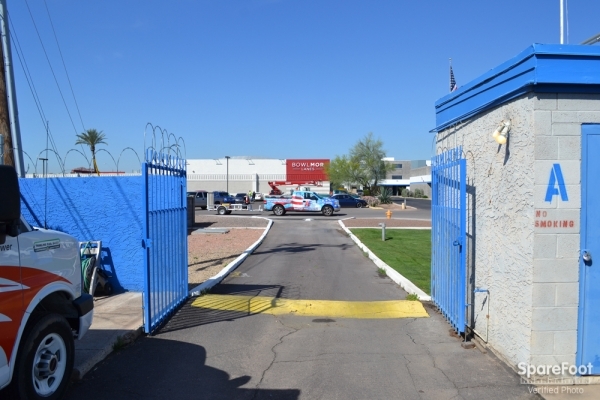 We here at Scottsdale Storage are very serious about making the customer happy. In no way has the property been without supervision for more than necessary - we have video surveillance covering the property as well as me in the office. Made my reservation price looked good went there at 4:30 and the sign on the door said WENT TO LUNCH BACK AT 2:00 PM so if they can't tell time I sure in the heck will not leave my items there because I left at 5:15 PM and no ever came back, so no way would I recommend that place to anyone. The man on the Bike told me as I left he could not pay his rent because no one has been in the office for over 5 hours. That's BAD BUSINESS......!!!!! The lady at front desk was amazing! I got a great deal at this place and they're having a special half off for 2 months and I got my locks for free no gate code to remember either I just wish the gate was open later than 6 p.m. The reception was fast & friendly. When the smaller unit did not work for me she quickly found us a larger unit. She was efficient and courteous. The transaction went swiftly & efficiently, she answered all my questions. It was fast and efficient move in. When we checked in they seemed unaware of the AAA first month free and 50% off for four months which was advertised online. I made them aware of it, as I had spoken to someone the day before when I made the initial reservation. At that time the gentlemen confirmed the first month free and the 50% off. When I spoke to the person to make the reservation he did not tell me about the $25 fee for paperwork. Once I signed the paperwork I was charged the $60 for the first month and had to correct them of the mistake. The owner was there and told the man at the desk to make a note on my account that the first month should have been free and made a note on my account that the first four months were 50% off. I would not have to pay for the next month. I should not have to pay for the next three months if the first month was free, the 2nd month was $30 and the 3rd month was $30 since I already payed $57 for the monthly rent not including the 25 I payed for the paperwork. This was after my credit card was already charged the $25 and $57 prorated for the first month. 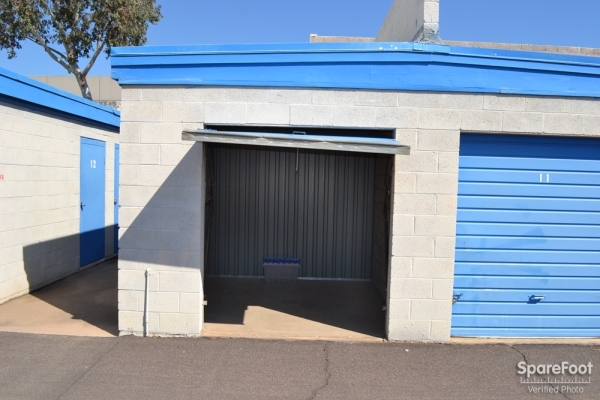 The unit itself was very clean and the owner was very nice. 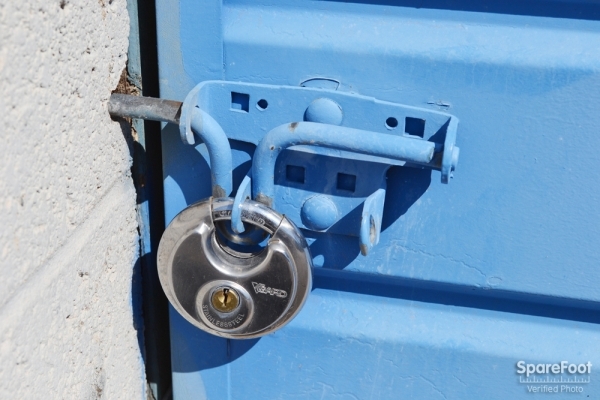 It was also a plus that they provided a Lock for the unit. 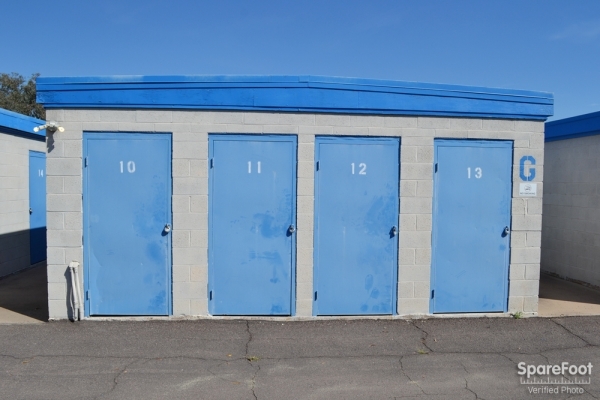 A good, no frills storage facility for a great price. overall I am very happy with the service and space I rented here. It is an older no frills facility for sure, but exactly what I wanted and very near my home. Exactly what I wanted in my storage space needs. The manager was very helpful in securing this space, it fits all the needs I have for storage. Great location prices and manager! Very happy with the facility. Customer service was great. Joseph was the on-site Manager and was extremely helpful and courteous. I have nothing but good things to say. I was in and out with my unit ready to go. The staff was helpful and friendly. My things were kept in great condition and I would use them again. Everything went very well and I am glad that I was steered to that location. To state it simply this location and the manager are FANTASTIC. We got the unit online then we were having a hard time with getting there to do paperwork so the manager tells my wife that she will meet them at the facility anytime they request she even said 6am if need be so we set a time for 7am we showed up and the manager was already there had the unit ready for us and the paperwork filled out with just a few things needing to be filled in it took 7 mins and they were out the door with a unit and new locks as well. This place is FANTASTIC but the STAR is Izzy she is more fantastic than words could say. Thank you Scottsdale Storage for having a manager like Izzy she is a ROCK STAR. When I arrived, I was immediately helped. The property manager was helpful, and she swept my unit out. She even helped me with one of my items! Great service at a great price. I love this place not just because it is clean and fair priced but because they have the most wonderful manager there. Izzy is great. I had a problem at the other location and I was sent over to this location and I could not be happier they sent me to Izzy and Scottsdale Storage. She is so on the ball she even noticed that I gave my wrong email that I closed instead of my new one I gave to Izzy a few days before she caught it before I did and this is fantastic. I know I will enjoy being at this location for as long as it takes to get all my belonging back in the new place. Thank you Izzy and thank you Scottsdale Storage. I rented about a month or so ago and they are terrific, I lost my job and have fallen behind in my rent but Izzy is great she has waived a fee for me to make it easier and she works with me so that I can maintain my unit and pay my bill and not lose my items in that unit, she is the friendliest person I have meet in a long time and she is always smiling when I go see her or even when she calls she is so nice, there needs to be more people like her in this crazy world. Awsome Service and a Great Price !! I needed a storage room fast, and without delay. I called and reserved a unit and went to the location after work to sign the paperwork. When I arrived the service was outstanding and the price was right. Their wasn't any surprises and I got exactly what they had told me on the phone. The whole process took only a matter of minutes. 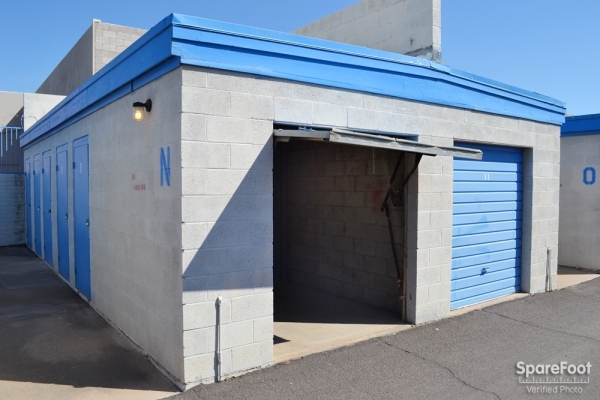 Viki, we here at Scottsdale Storage never told you that the units are Climate Controlled, and in the description of the facility itself there is no mention of Climate Control Units. We strive for great customer service here at our facility and are very sorry you were unhappy with the facility. I called several weeks ago to several different location looking for a 5x10, most of them told me they had none or the price was crazy. 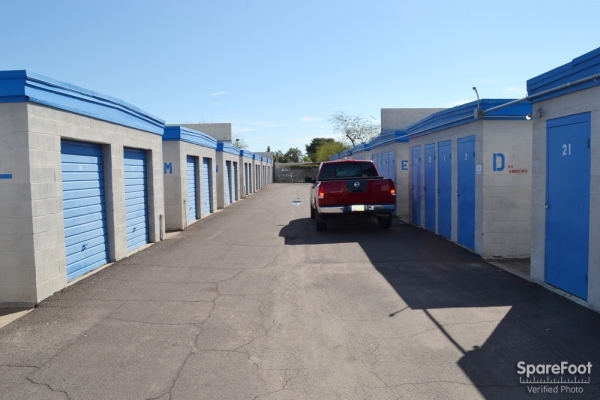 I called Scottsdale Storage because my niece had told me about them, she said they were great and to ask for Izzy. Well I did but I was told they didn't have one at that time but she would take my number and call me when one becomes available and since I didn't need it until the 16th or 17th of August I said what the heck. Well on Saturday the 3rd I got a CL from Izzy letting me know she had one available and she would hold it for me. I left my name and number with 7 others and have yet heard a word from them doubt I ever will. Well anyway I went to see Izzy and my husband and fell in love with her. She is funny, sweet and above all polite as heck. She was TERRIFIC!!! She showed us the unit, it was more ten clean it was spotless. The property was extremely clean, the entire place looked great. She was outside sweeping up when we got there unlike the others they were all just sitting in the office of their properties. Well anyway we told her we would take it asked if she needed a deposit she to us no there was no need and that the unit was ours and it would not be rented to anyone else. My niece Gina said thy were good but that is an understatement she is Fantastic. And my niece gets $25 off her next months rent for referring us to this location. Thank you SpareFoot Gina used you to ind Scottsdale Storage and we used Gina to find them what teamwork but most of all Thank you Scottsdale Storage for being there when you were needed the most but most of all for having a TERRIFIC employee like Izzy she is great!!! I know we are going to love being at this location. I reserved a unit on Saturday and I did not read it correctly and I thought they were open on Sunday, so the manager called me and we were talking and she told me their hours and I just about fainted because I was told by the owner of the house that he was removing the shed at the house so I had until 6pm on the 16th to get it cleaned out to be removed, I was shocked since I had no notice before about this so I went online and I searched and I found Scottsdale Storage they had great rates and I thought they were open on Sunday to rent to me, but anyway after I found out they were not open on Sundays to do the paperwork I just about had a heart attach until Izzy said to me don't worry Mr. Halverson I will meet you at the facility at 10am on Sunday an we will et it taken care of, there is no need to stress we will take care of you. She never hesitated she didn't even stutter, she just took a bad day and made it a great day. So I met her there and it took all of 7 mins to do the paperwork and we had our unit and to top it off a FREE $15 DISK LOCK, so when I say they are AWESOME that doesn't even describe them completely they are the best an even though I may only need it for a couple of months they are the only storage facility I will ever referrer to anyone ever, thank you Scottsdale Storage and thank you Izzy, you saved me on Sunday and you saved all the items in the shed as well, it might be junk to the owner of the house but it is all I have left of my wife after she as killed defending our country, so thank you and God Bless You!!!!! Lot of rusted out cars some litter. Top quality, met all my expectations. I called and spoke to Issy she was the nicest manager I had dealt with all day long looking for storage, she knew all about her facility and offered me a great deal and I coud not say no, she was awesome the site it just as great.